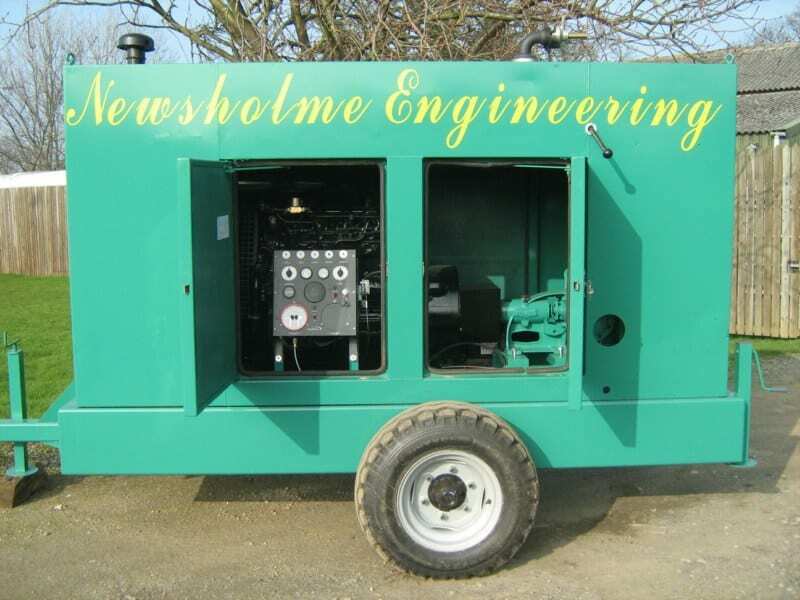 Produced in our own workshop utilising a refurbished genset acoustic enclosure and a low hours Perkins 6534 diesel engine (everything else is new), this fully acoustically enclosed mobile diesel engine irrigation pump unit provides excellent valve for money. 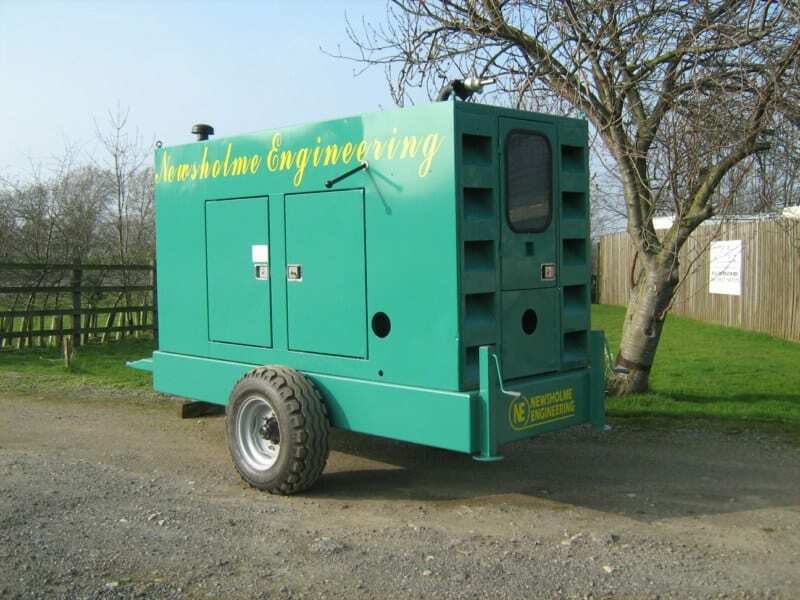 Mounted on a 1,000 litre low profile steel fabricated tank/chassis with internal baffles and bund to contain engine fuel and oil spillage. 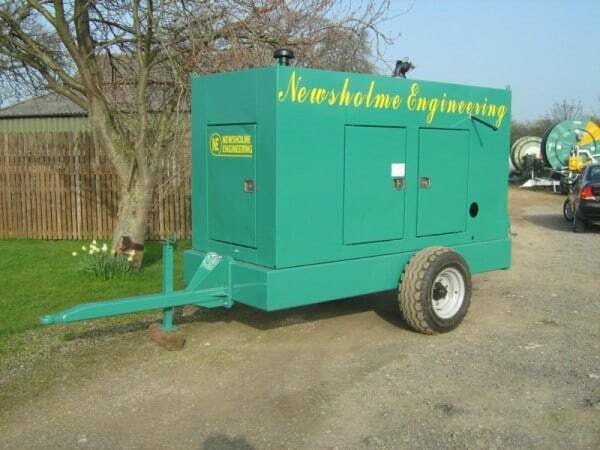 Refurbished acoustic enclosure of engine and pump with lockable access doors and keys to pass. Murphy B5001 diagnostic control panel, pulsation damper and fuel solenoid provides automatic monitoring, shutdown and first out indication in the event of high engine coolant temperature, low oil pressure, high/low irrigation pump delivery pressure and adjustable 24 hour timer expired, with key start switch, no charge warning lamp, fuse holder and adjustable timer to over-ride low pressures/low flow on starting.